It can take between 2-4 days for the body rid itself of ecstasy toxins. However, the time it takes for post-acute withdrawal symptoms to subside is variable. More ecstasy detox timeline info here. ARTICLE OVERVIEW: You are less likely to develop physical dependence on ecstasy than other drugs. Still, anytime you come down off of MDMA, it’s like a mini detox. Here, we review how long detox typically lasts and what can be expected during and after. At the end, we invite your questions and comments about ecstasy detox. In fact, we will try to respond to all legitimate questions with a personal reply. Ecstasy is an empathogenic drug used for its ability to produce altered states of consciousness. Its primary ingredient is MDMA, or 4-methylenedioxy-methamphetamine a synthetic psychoactive drug of the amphetamine class of drugs, first synthetized in 1912. Thought to be first marketed as an appetite inhibitor, MDMA has been used in past decades in research on human empathy, as a treatment for PTSD, and even as an antidepressant. Have you used ecstasy on weekends over a period of 3 months or more? Have you experienced any unwanted effect after using MDMA? Have you grown accustomed to the effects of MDMA? If you find yourself answering: “YES”, to any of these questions you may want to consider detoxing your body from the drug toxins found in ecstasy, and we strongly recommend you continue reading for processes and protocol. While ecstasy use rarely triggers physical dependence, there are some cases wherein folks can benefit from time off…or even tapering doses. But first, why even consider a detox? Technically, anytime that you take ecstasy, the buzz-kill you feel afterward is a kind of withdrawal. However, it’s a little known fact that MDMA can cause both longer-term physical and psychological dependence. Continued use despite negative physical or psychological consequences. The person’s level of use. How long s/he has been abusing ecstasy. If s/he has been taking other drugs along with ecstasy. It takes between 2-4 days for the body to get rid of toxins found in ecstasy; this is why physical stability can be reached within a short period of time. However, the time it takes for the withdrawal symptoms to subside is variable. Further, it may take longer for psychological withdrawal symptoms to subside. For example, some symptoms can persist for weeks and months after cessation. For a full list of symptoms and when they appear, see this Addiction Blog ecstasy withdrawal timeline chart. Ecstasy withdrawal syndrome has not been demonstrated nor recorded in scientific literature. In other words, long-term physical dependence on ecstasy and accompanying withdrawal symptoms are rare. Still, when you notice that the “come down” period is worsened…this can be a sign that you are becoming physically dependent on ecstasy. Once the toxins are out of the system, the physical symptoms are considerably reduced. However, heavy users will experience these symptoms much more intensely and may re-administer ecstasy at this point so as to avoid the discomfort. In addition, people who maintain high doses use of MDMA may present problems with the body´s ability to regulate its own temperature, resulting in a sharp increase in body temperature (hyperthermia), leading to liver, kidney, and cardiovascular failure. It is of crucial importance to rest and stay hydrated during the first 72 hours after taking ecstasy. Severe dehydration can result from the combination of the drug’s effects and the crowded and hot conditions in which the drug is often taken. A “protracted symptom” is a symptom that last for the duration of weeks or months after use. One of the most common protracted withdrawal symptoms is depression. A person may start to experience depressive thoughts after using MDMA for weeks or months, which is sometimes resistant to any treatment other than antidepressant medications like selective serotonin reuptake inhibitor. Another likely protracted symptom is the compulsion to use ecstasy again. This can happen when a stressful situation arises or during a party when someone offers a pill, even though the person is clear of drug for some time. Being more of a mentally than a physically addictive drug, some users may need cognitive-behavioral therapy to help them overcome obsessive thinking about ecstasy. What are some other protracted withdrawal symptoms? Other people may experience a loss of appetite. Some report feeling anxious and confused. Still other people who take MDMA regularly have also reported a lack of motivation or impairment of decision-making, information processing, logical reasoning and simple problem solving. … as well as hypokinetic or hyperkinetic disorders including parkinsonism, tremor, dyskinesias, and myoclonus (strange and involuntary movements). Studies suggest chronic use of MDMA can produce damage to the serotonin system. It is ironic that a drug that is taken to increase pleasure may cause damage that reduces a person’s ability to feel pleasure. This especially applies to heavy and long-term users, while occasional ones may not feel any of the above-mentioned. Although there are conflicting theories concerning the mechanism of how is toxic to neurons, it is clearly related to the excessive metabolic activity and neurotransmitter release in the serotonergic and, possibly, the dopaminergic neurons. While the physical symptoms of ecstasy dependence usually subside quickly, some of these psychological symptoms could trigger relapse making it important to stay surrounded with close and sober people and/or seek counseling. Avoiding people who take ecstasy and places where it is being taken is necessary, it is very important to stay at a safe environment among sober people and avoid situations that could trigger cravings for ecstasy. 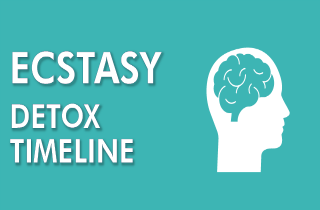 A person who has been addicted to the effects of ecstasy may fall into the trap of relapse, especially if they encounter stressful situations. Most people who are long-term or heavy users of ecstasy will need to seek medical advice when considering coming off MDMA for good. Each case is different. Further, some people may benefit from slow withdrawal protocols while others may be prescribed antidepressants during detox. Although there are currently a number of medication targets that show promise in animal models and in some eary clinical trials, there are currently no FDA-approved medications to treat MDMA use disorder. Nevertheless, there are medications to treat the symptoms caused by the use and abuse of this drug. 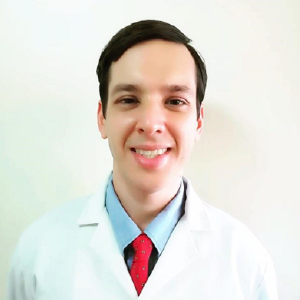 For example, treatment with SSRIs (Selective Inhibitors of Serotonin Reuptake) and / or mirtazapine, may be recommended for six months or until the disappearance of the symptomatology. In any case, a medical doctor´s help should always be included in cases of ecstasy detox. Do not try medicating yourself or detoxing on your own! So, can you detox from ecstasy at home? No, it´s not recommended. Counseling is often very helpful for chronic or heavy users in easing the process of quitting. Talk therapy centers around modifying behavior by teaching techniques to deal with cravings. It is likely that people with addictive personalities reach for other chemical substances or alcohol, making it crucial to stay at a safe environment. MDMA is potentially dangerous, even in the doses typically used by participants at raves. Both the acute and the chronic effects can lead to serious and even fatal toxicity, the full extent of which cannot yet be estimated with accuracy. Relapse is always a risk, safety depends on how you deal with the psychological dependence to the drug and this is directly related on how hard your MDMA use was in your life, this is why we strongly recommend looking for help in counseling groups, and avoiding places where you´ll feel tempted to use the drug. Continued use despite health problems or problems at home/work/school. Quitting but not being able to stay quit. If you or someone you know have been taking ecstasy but do not feel like quitting yet, we encourage you to learn more about what MDMA does to your brain and body. Even though ecstasy is usually out of the system within few days, there is a possibility for protracted withdrawal symptoms last for many months after cessation. Have you perhaps experiences to share about detoxing from ecstasy and would like to add something? Write us in the comment section below and we try will get back to you ASAP. In fact, we try to respond to all legitimate questions or concerns or will refer you to someone who can help. Do you have any questions about scheduling an ecstasy detox? You are not alone, we can help you overcome your drug problem, but the first step you must give is to accept there is a problem; we will accompany you all the way. NIDA: How Are MDMA Use Disorders Treated? I did mdma 20 days back and after that i have decided to quit it. And so far it is going smooth bas sometimes i feel little urge but then i control it. So should i consult a doctor or will i be able to control it on my own. Hi Manav. Urges are tricky, sometimes it’s best to have someone to talk to. Don’t hesitate to ask for a professional help next time you feel the urge to take drugs. Stay strong and call our help line if you need more answers. Hello Help. MDMA is rapidly absorbed in and passes through the body quickly; the half-life of MDMA is around 7 hours. Detection windows are longer than previously thought. Although MDMA has a short detection period in urine (30-48 hours), detection times do vary according to dose and metabolite. But generally, it is is out of the system within 4 days of use, even for heavy or consecutive dosing. I take a urine test Tuesday…I popped one epill Saturday…will I be able to pass? Good evening, I would like to clarify some doubts regarding the use of ecstasy. Hi Artur. You may still be experiencing withdrawal symptoms. I suggest you visit a doctor so they can run some test if you continue feeling sick. I took 2 ‘bombs’ of Mandy (MDMA) 8 days ago whilst drinking alcohol, during a night out. Since that night, I’m suffered a range of drug hangover symptoms. But, the one that bothers me the most, remains; during midweek i had a panic attack which I had never had before and so prompted be to go to A&E. I was told it was caused my anxiety and that the symptoms would subside. Well, I had another panic attack 2 days later. Since then and still to this day, I continue to suffer from chest tension, albeit mild, with the annoyance of having to draw in deep breaths every now and again – sometimes more frequently than other times. What’s wrong with me and how long will it last?? Hi Nicholas. You are probably still experiencing acute ecstasy withdrawal symptoms. The severity and the length of the symptoms may vary from person to person. If you don’t feel well, I suggest that you visit a doctor for further tests. For anyone commenting about getting brain zaps here… those are common among ecstasy users. They will eventually subside and stop… some may take up to a week and some few weeks… depending on your frequency of use and dosage. It’s due to the neurotransmitters in your brain basically trying to recover from the ecstasy abuse. Definitely make sure you’re taking your supplements/vitamins and hydrating during your recovery period and refrain from ecstasy use. Hi Corey. If you’re a daily suer, it’s possible that you’ve become physically or psychologically addicted to MDMA. While physical addiction is rare, it’s possible. If you’re ready for help, please give us a call to talk through your options. Im on SSRI medication for about 2 months now and I’ve stopped taking them for over a week now. During this week off my Meds , i have been taking ecstasy pills daily , I am now also getting these brain zaps almost like an electric shock feeling in my brain which is terrifying and makes me scared to even close my eyes to go asleep, as this only happens whenever im trying to sleep. So I am just wondering if I go back taking my SSRI meds will this help? Hello Ryan. You may need a medical opinion. Have you consulted with your family doctor about the sensations yet? Full disclosure may be best. I have recently went to a music festival and went on a 2 day binge and consumed around 2.5-3.5 grams of mdma and a few days later I was laying in bed and I started to get brain zaps and they are very uncomfortable and prevent me of sleeping . The day after I started having minor brain zaps every 10 seconds and my left arm started to twitch a lot throughout the zaps , I was wondering what these electric sensations in my head are and hiw they can be treated ? But it’s the rash that is different from normal? Hi Paula. You son may want to consult with a doctor about his rash. The informatiom and tool provided was most definitely helpful! I admit to using for many years (off n on) however in the past several years I’ve been using more so now than ever, definitely for the past 3-4 years it has gotten worse… I use up the 3 in one day (smh) — when I’m done with my little stash, I’ll take a short break for maybe 24-48hrs then I’m back at it again. I am 35yrs old, I know using recreational drug is wrong on so many levels. I want to quit and I know that I can, it’s just harder than I expected. My fiancé and I would like to one day have a baby. We are sexually active w/no contraceptives and I have not gotten pregnant yet… I already have two girls and In the back of my mind I felt strongly that using could possibly be the problem 🙁 and since we both have children from our previous marriages, the question of can we is not even a thought. I am also experiencing other symptoms such as; spinal back pain, my nerves in my arms and legs gives sharp pain, my memory is not as sharp as it once was and most importantly I feel sharp/sudden pain in my chest. I can admit to being weak however I want to quit! Now basically after writing a book of myself 🙂 It is important for me to now know if I can have a baby since I’ve been using close to (10)yrs (3) of it me being a heavy user, do you think I’m not fertile and besides quitting is there anything else’s that can help me while in the process?!? Please Help! Hi Rose. Call the helpline you see on the website to get in touch with a trusted treatment consultant. Personally speaking ecstacy withdraw is probably the worst experience I’ve ever encountered in my entire life, I’ve used marijuana pretty much since I was 12 and I’m 25 now. About 1 month and 2 weeks ago I was abusing ecstacy pills but little did I know what effects would come along after my body no longer had the drug in my system. I started to notice a discomfort in my left side of my chest along with stiffness in my left arm all together. From there the depressions, fatigue, suicidal tendencies and lack of appetite came. It felt like the worst time of hell on earth. It got to the point even a few puffs of marijuana started to make me really paranoid and my heart palpatations came more often (heart palpatations came after coming off ecstacy in into withdrawal phase). It’s hard to tell how long the drug can stay in your system I guess It all depends on how long the persons been using is also how long you’ll be facing with these or other symptoms. I went to the ER because my heart felt like it was pounding out my chest and I felt like at any moments I was going to have some sort of heart attack or seizure of some sort along with passing out, again the worst feeling on earth. I was diagnosed by the doctor with heart palpatations which at anytime would come and go, I tried finding way to combat this because it was just the worst feeling to deal with threwout the day and made me feel like I was gonna die. I took fish oil pills to regulate my heart and calm my depressions way down along side drinking warm water with squeezed lemon in it to flush my system out of all toxicity it was enduring. About 3 weeks from went I stopped is when I first started noticing the problems, at first it was my chest and arm and continued for some time then eventually the arm tightness went away but the heart stiffness still remained somewhat until I took the fish oil pills. My recommendation is stay of that garbage forever it’s very disturbing drug and has the worst feels to it i ever encountered and if it’s your first time and if you think of using DONT! Rather be heathy than suffer like I did and believe me it’s one ride you don’t want to get on. So if your reading this take it from someone who’s gone threw this misery and just find something else to do to have fun. Take care and always be safe not all drugs are what people say they are anymore and more and more are cut with more deadly elements. I have a question for one of my best friends she snorted 8 ecstasy pills well she did it with others she said they did lines and that she bought them off of someone on the street and she weigh 364 pounds & her height is 5’7 she wants to know how can she clear her system from this ? & how long does it stay in your system ?